MD Preowned Advantage - 7 years, 200,000 miles! The McLarty Daniel Advantage is a 7 year, 200,000 mile warranty on pre-owned vehicles sold at any McLarty Daniel Automotive dealership in Northwest Arkansas! Buy with us and get peace of mind at no additional cost to you. As long as you continue performing the manufacturer-recommended service, you’ll continue to be protected — all at NO COST and with NO CATCH! 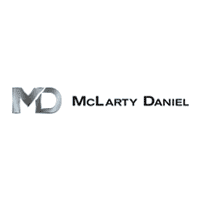 The McLarty Daniel Advantage is an extended powertrain warranty. So what exactly does it cover? Simply put, it covers the parts and systems that make your vehicle move. This includes the engine, transmission and drivetrain, and if any or all of those systems fail before you reach 7 years or 200,000 miles, we will cover the cost of repair or replacement for you. Claims will not be turned down for pre-existing conditions, and if you ever have a powertrain failure that ends up costing more than your vehicle is worth, we will write you a check for the full NADA retail value of your vehicle, and you’ll get to keep your vehicle. Have a question about the McLarty Daniel Advantage? Stop by today or contact us today.